If you are a fan of jars then you can appreciate "jar accessories". 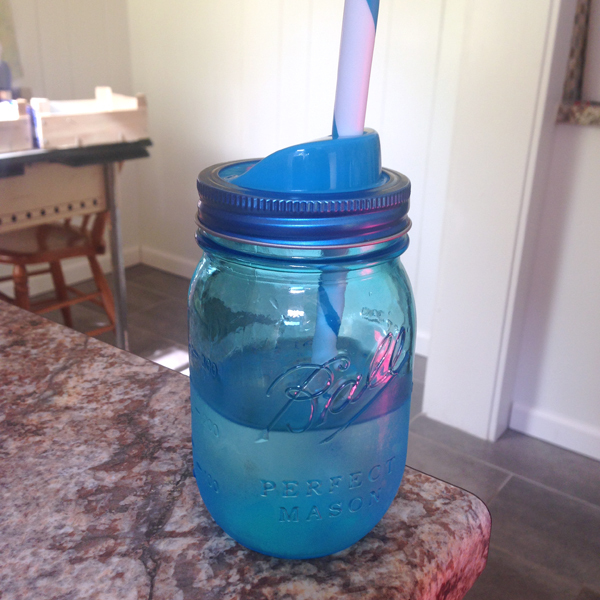 Like these Ball Mason Jar Sip & Straw Lids. 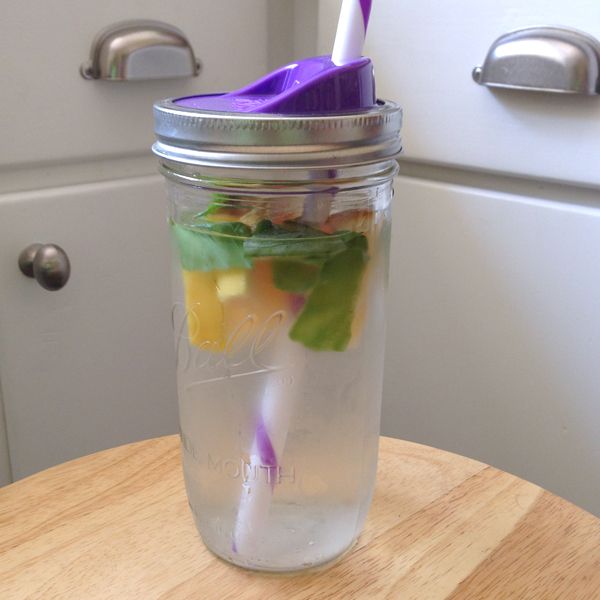 They are great for hyrdating with fruit infused water like this jar filled with mint and pineapple. 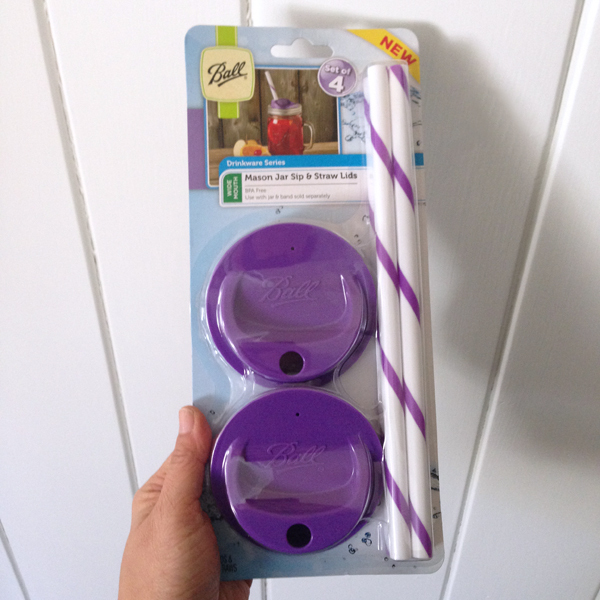 The extra large straws work really well with smoothies too. 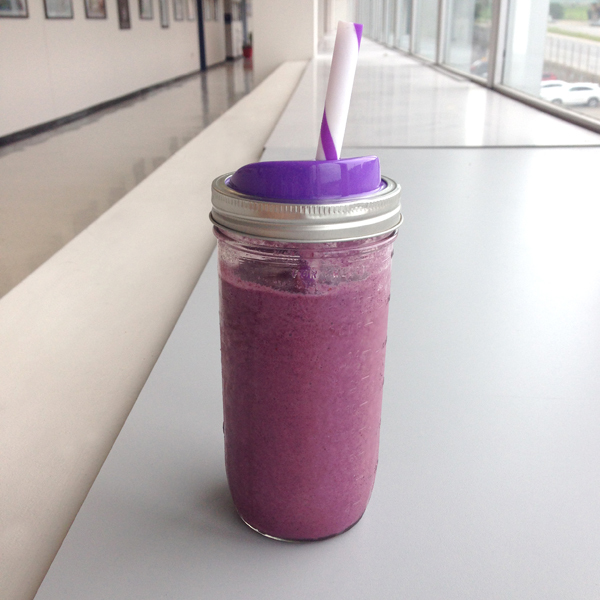 I especially like the colors they come in so I can coordinate with my different colored mason jars.